Some of the many Tourist Attractions include: the Botanical Gardens, Natal Museum, Tatham Art Gallery, Pietermaritzburg City Hall, Queens Elizabeth Park and World's View. Some of the many Tourist Attractions surrounding Pietermaritzburg include: Albert Falls Nature Reserve, the Howick Falls and Midmar Dam. 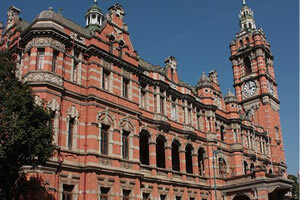 Founded in 1838, Pietermaritzburg (umGungundlovu) is the capital and second largest city in KwaZulu-Natal. Pietermaritzburg is popularly called Maritzburg and often informally abbreviated to PMB. Pietermaritzburg is home to many top schools and tertiary education institutions, including a campus of the University of KwaZulu-Natal. It is a regionally important industrial hub, producing dairy, timber and aluminium products. Advertise your Pietermaritzburg health and beauty service / outlet in the infoHUB Business Directory & Information Portal.